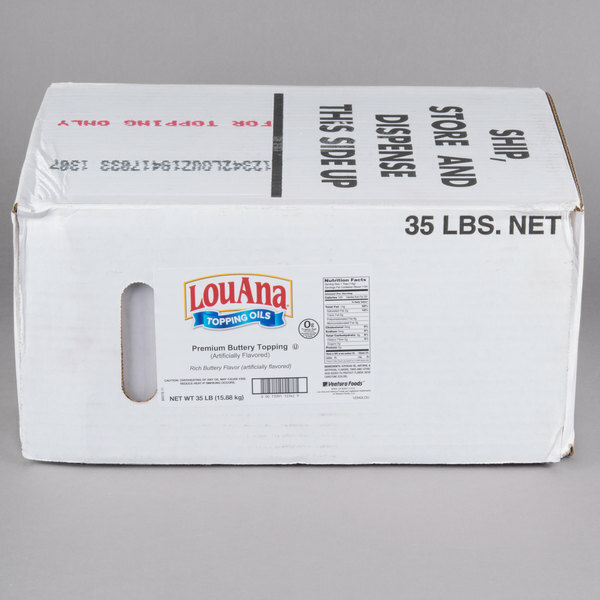 Use this LouAna 35 lb. butter flavored topping oil in place of butter, shortening, or other cooking oils! Oil is a versatile ingredient and has excellent performance, and this butter flavored oil is ideal for making popcorn. Not only will it help provide a better flavor and aroma for your popcorn, but your customers will love the movie theater quality taste! Compared to standard white oil, this product produces a bright golden color to draw in your customers. This topping oil is butter flavored, so you won't have to use any butter or butter substitutes. It is also non-hydrogenated, meaning that it is naturally trans fat free. 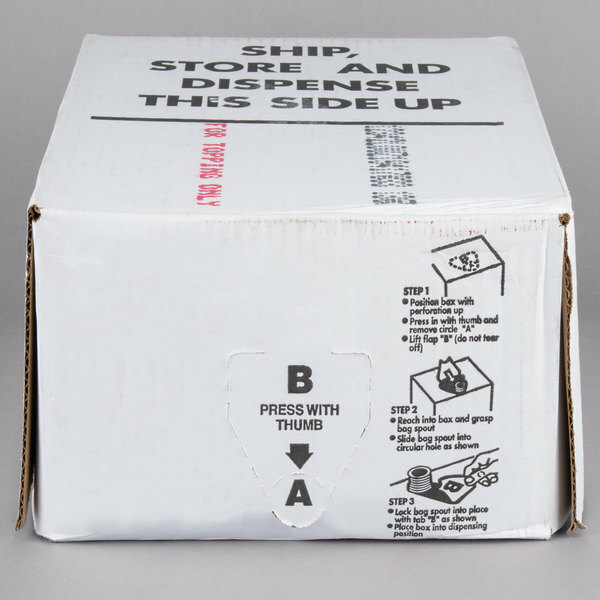 Plus, the bag-in-box design is a convenient way to store and use your oil. 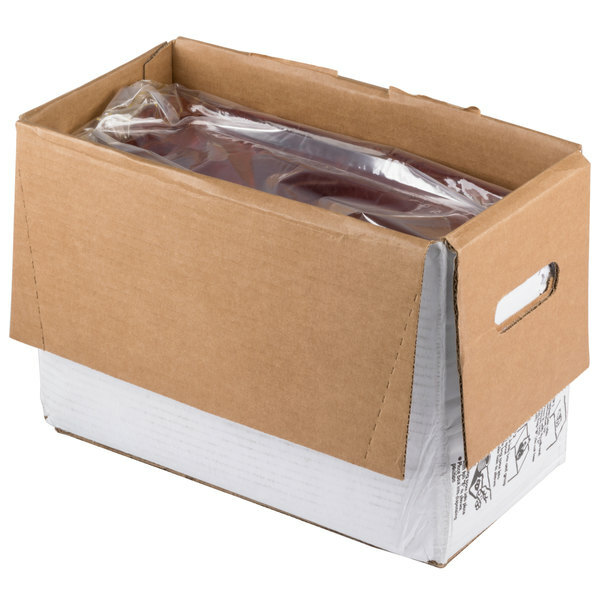 The box makes transporting all 35 lb. 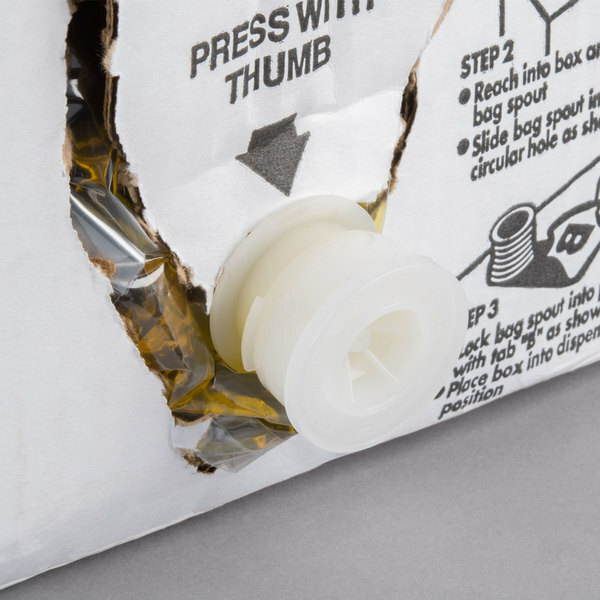 easy while the bag within has an easy-to-use connector for your popcorn machines. 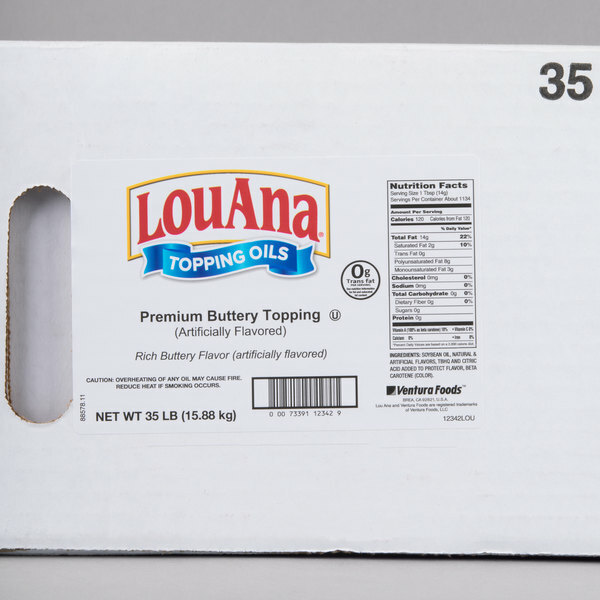 Stock up with this container and pop the best-tasting popcorn with this butter flavored topping oil!